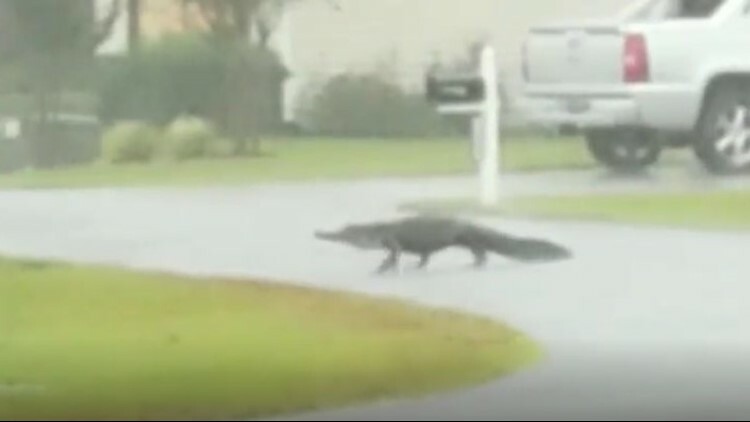 MYRTLE BEACH, SC.—Why did the alligator cross the road? To get to the other pond and out of Florence’s way! Tracie Byrd says this gator was one of the smaller ones in her neighborhood, and that there was a 12-footer that lives nearby too. Byrd says she knows the gators live nearby but they don’t usually see them out of the water like this. In the video, you can hear “run gator, run!’ from behind the scenes.